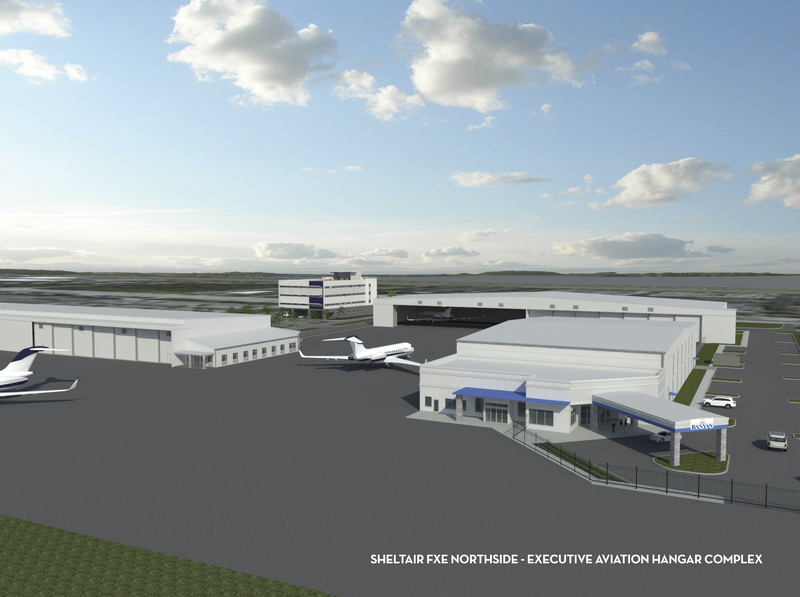 Sheltair Aviation has announced it will build, lease and manage a new 20-acre northside hangar complex at Fort Lauderdale Executive Airport with FBO services offered by Banyan Air Service. The facility will include a state-of-the-art 180,000ft² (16,700m²) hangar complex consisting of eight large cabin-class sized hangars and an additional 30,000ft² (2,800m²) of office and shop space, as well as Banyan’s Northside FBO terminal. Construction is already underway on the US$30m complex with ribbon cutting ceremonies scheduled for the winter of 2019. Sheltair is providing unique leasing opportunities for exclusive, private hangar and office space with ‘early bird’ incentive packages available for fuel and other amenities. As the FBO, Banyan will have a dedicated terminal building open 24/7 to provide FBO and line service for the tenants which, in turn, will allow customers to take advantage of the airport’s 24/7 tower and security operations.